The NEARLY ME FREESTYLE® Modified Triangle Athletic Form is shallower in the front and less concave in the back compared to the original #360 FREESTYLE form. Therefore, it fits differently and offers another option to women looking for the perfect breast form for their bathing suit or sports bra. 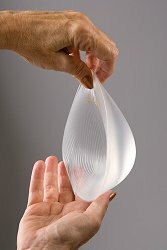 Like the original fuller #360 FREESTYLE® Form, each is 100% clear silicone gel encapsulated in a thin polyurethane skin that is resilient and flexible yet extremely durable. This natural feeling form is a symmetrical triangle, easily fitting either side of the body and is clear so it fits under any fabric without showing through. This Modified Triangle Form has been created for women who have had more conservative surgeries where more tissue remains and works well in tank type swim suits. Each comes in a convenient carrying bag for simple storage when not wearing. 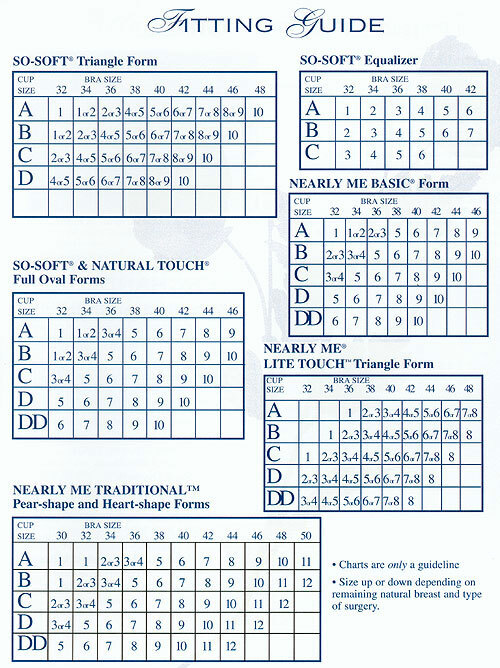 This new FREESTYLE® Modified Triangle Form is available in 12 sizes, fitting a variety of small to larger figure types. All forms have a one year warranty, are hand washable and made in the U.S.A.